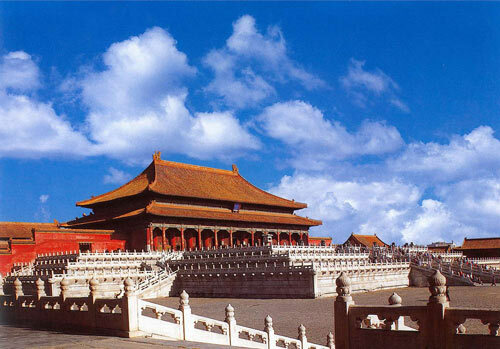 Temples is the symbolization of the long history and rich culture of China, and are regarded as valuable art treasures. Generally speaking, temple is not only related to Buddhism. However, in Buddhism, there are many kinds of titles for temple: such as "Temple", which does not refer to Buddhist temple. Official residences were known as Temple since the Qin Dynasty (qín cháo 秦朝). In the Han Dynasty (hàn cháo 汉朝), the living place of the monks from the West also known as Temple. 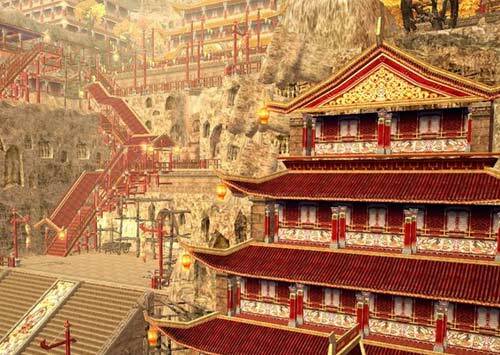 From then on, temple has become professionals of Chinese Buddhist architecture gradually. 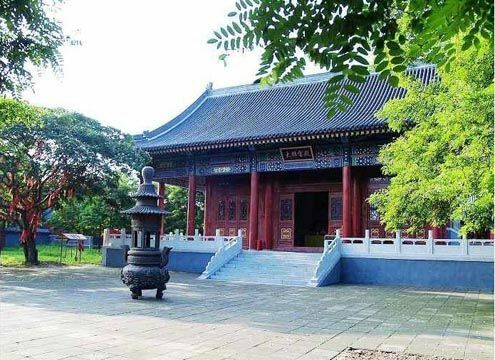 It also can be said that when Buddhism spread to China, Chinese people called t the Buddhist architecture as temple so as to show respect for Buddhism. The imperial palace, the official residence of the emperor and his family, is the most vital architecture in ancient China. There were certain architectural features that were reserved solely for buildings built for the Emperor of China. One example is the use of yellow roof tiles; yellow having been the Imperial color, yellow roof tiles still adorn most of the buildings within the Forbidden City (gù gōng 故宫). The Temple of Heaven (tiān tán 天坛), however, uses blue roof tiles to symbolize the sky. 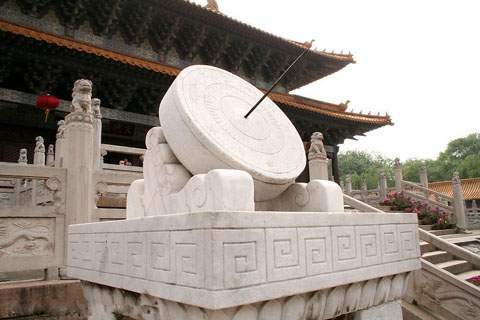 In ancient China, people calculated time according to the position of the sun, the moon and stars in the sky. However, such method was not very accurate. Afterwards, by watching the sun, someone designed a kind of time-counter to identify the time—the sundial (rì guǐ 日晷). Situated at a strategic point along the Silk Route (sī chóu zhī lù 丝绸之路), at the crossroads of trade as well as religious, cultural and intellectual influences, the 492 cells and cave sanctuaries in Mogao Grottoes (mò gāo kū 莫高窟) are famous for their statues and wall paintings, spanning 1,000 years of Buddhist art. The Mogao Grottoes contain priceless paintings, sculptures, some 50,000 Buddhist scriptures, historical documents, textiles, and other relics that first stunned the world in the early 1900s. 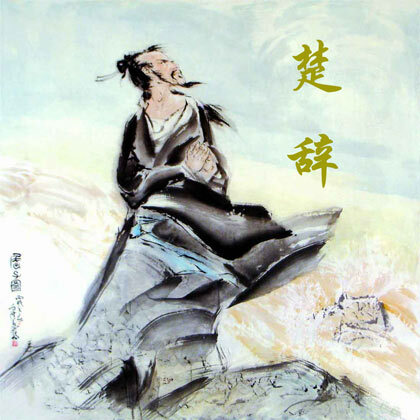 The word Yuefu (yuè fǔ 乐府) came first into being in Qin Dynasty (qín cháo 秦朝)(221 BC-206 BC). Yue (yuè 乐) means music, Fu (fǔ 府) means bureau, put together Yuefu means music bureau. 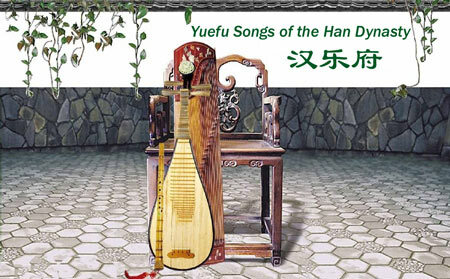 It laid its foundation in the Han Dynasty (hàn cháo 汉朝) (206 BC-220 AD), and became a royal government Musical Department for collecting, writing or performing folk songs and ballads in 112 BC. After then people called poems which were composed in this folk song style Yuefu. Known as Poetry of the State of Chu, Chu Ci (chǔ cí 楚辞) was a new style of poetry emerged after The Book of Songs (shī jīng 诗经). It sprouted and blossomed in the State of Chu (chǔ guó 楚国) in south china in the 4th century BC.